Download tags from MusicBrainz, Amazon, FreeDB, Discogs. Extract tags from filenames and folder names. Edit tags for any number of selected songs manually. Import tags from a structured text file. These methods work for all supported formats, including MP3, WMA, M4A, AAC, MP4, OGG, FLAC, APE, and others. Here we will discuss the latter method. It can be very useful both for home users and for professionals. 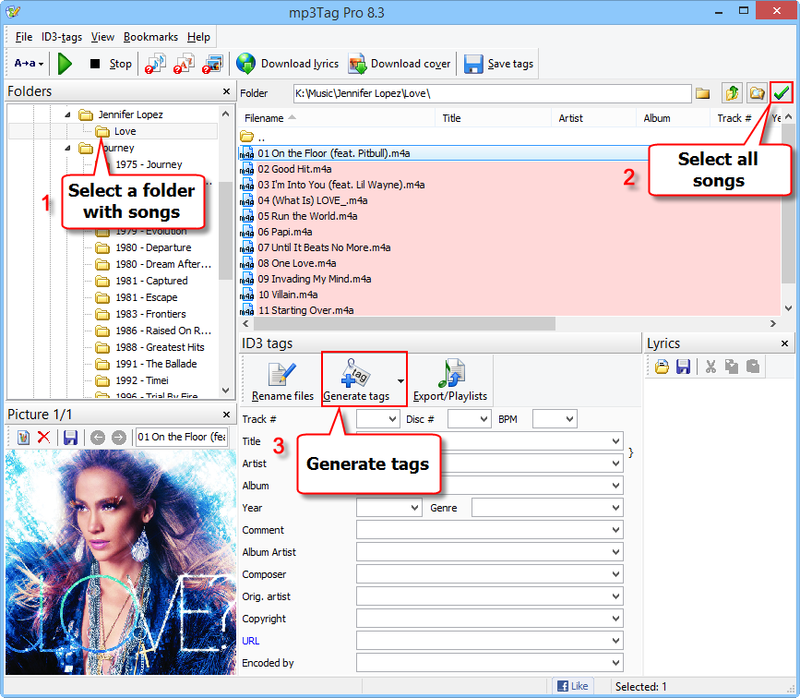 In the "Folders" area of mp3Tag Pro, select a folder containing songs that need to be tagged (1). To highlight all songs in the selected folder, click the green checkmark button in the upper right corner (2) or press Ctrl + A. Alternatively, you can select groups of songs using the Ctrl + click and Shift + click combinations. 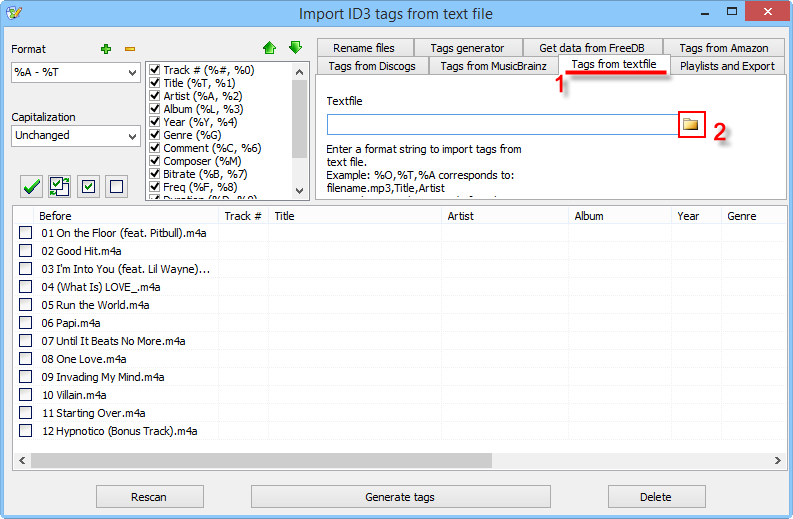 Finally, click the "Generate tags" button below the list of songs (3). Click the "Tags from textfile" tab name to open this tab (1). The "Textfile" field now contains the path to your CSV file with tags, but otherwise nothing changes. There are no tags in the preview area. If you have already worked with mp3Tag Pro or read articles about other features, you know that this is about the "Format" field in the left upper corner of the window (1). We need to enter the correct format into this field. 06 Papi.m4a is a filename, as there is the .m4a extension. We have a file with this filename, and we want to import tags into it. This is important: your CSV file must always contain correct filenames. 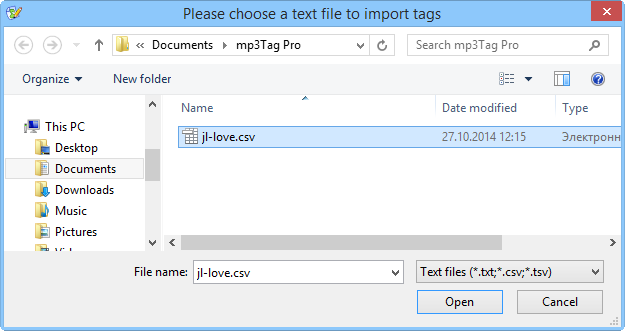 mp3Tag Pro matches your real filenames with filenames from your CSV file, and so it knows which files should receive this or that set of tags. Hint: If you have a CSV file with tags in the correct order, but there are no filenames, or filenames in the CSV are not the same as your real filenames, you can use the export feature. Just export your real filenames and insert them into your CSV using a spreadsheet program. We entered nothing for "unimportant", but note that our format ends with a semicolon. This cuts off the rest of the values. 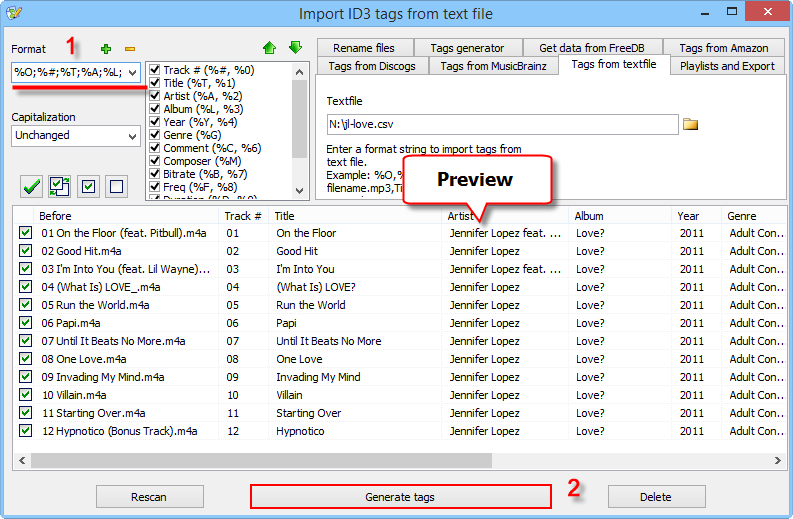 Check if the preview for your future tags is correct and click the "Generate tags" button (2). Now our files are tagged, and their tags can be used to rename and sort them. Take a real line from your CSV file. Generalize. Do not change anything else. If values in your CSV are separated by semicolon, the generalized values must also be separated by semicolon. Some files use commas or tabs as separators. Replace generalized values with variables from the list next to the "Format" field. Remember that %O (the letter, not zero) stands for filename. 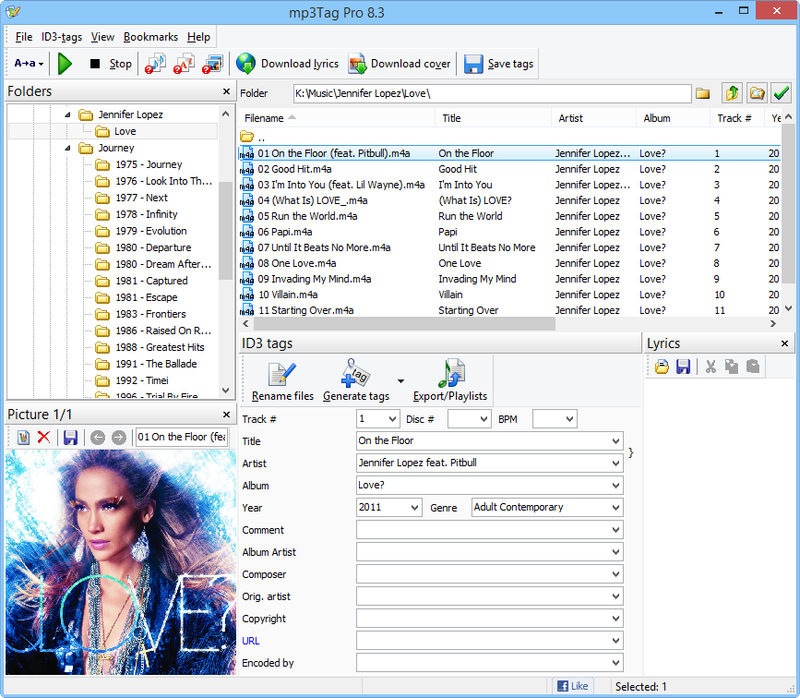 You can use the export and import features of mp3Tag Pro to back up and restore your tags, to process tags in a spreadsheet program, to import tags from a database, and so on.